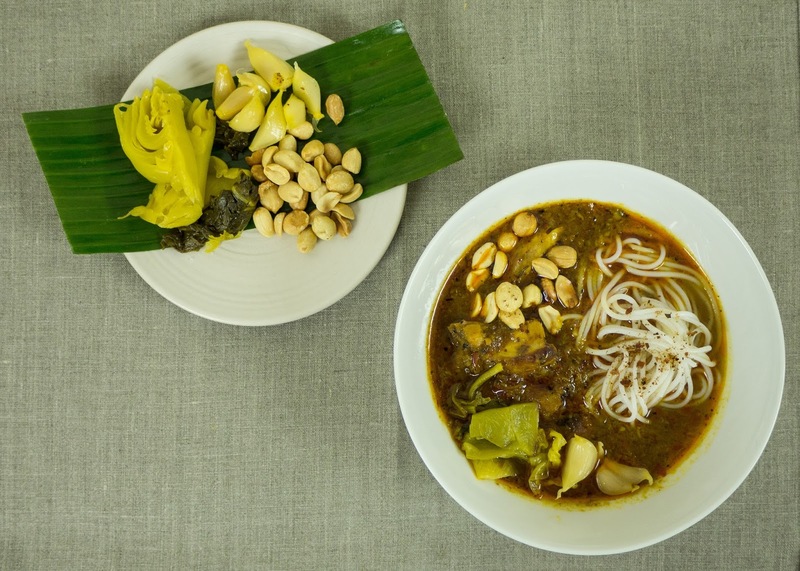 The Lido Cafe, at Brockwell Lido, on the edge of Brockwell Park in Brixton / Herne Hill is holding a series of pop-ups on Thursday and Friday night with Tem Ban, serving Thai food from chef Craig Broadhurst, previously at The Begging Bowl, Thai Grill at Bar Story and Smoking Goat. Booking recommended! "Renowned community restaurant The Lido Cafe will host talented London chefs and streetfood traders at its stunning poolside dining space, in an exciting new series of evening popup dinners. Launching on Thursday 11th February with Tem Ban’s fresh take on traditional Thai food, the rotating kitchen collaborations will run every Thursday and Friday evening, and offer diners the chance to enjoy diverse cuisines in a truly unique setting. Guests visiting The Lido Cafe during February for the kitchen takeover by Tem Ban can enjoy a sensational new menu celebrating the richness and vibrancy of Thai ingredients, combining the fragrant and rustic elements of traditional Thai streetfood with modern cooking techniques. All made using great quality British produce, Tem Ban’s small plates like Deep Fried Grey Mullet and Star Fruit Salad and“Nam Prik Pao” shredded pigs’ ears with burnt sour red chilli sauce are sure to tantalise the tastebuds. The ideal feast to share with friends, the popup menu’s Southeast Asian large plates showcase a wide array of textures and flavours, such as “Khao Soi Gai” free-range chicken Chang Mai curried noodles with pickles and crispy noodle topping, and “Hang Lae” pork belly curry with ginger and peanuts. The Lido Cafe’s skilled bar team have also concocted two exclusive cocktails to accompany Tem Ban’s contemporary Thai cooking. A refreshing Watermelon Bellini and a bold Tamarind Whiskey Sour will be added to the drinks list for the special Thursday and Friday evening suppers, as well as the multi award-winning South London restaurant’s carefully curated selection of local craft beers and fine wines."